It was back in 1908 when President Theodore Roosevelt used the powers of the Antiquities Act to create Muir Woods National Monument. William Kent, who donated the land for the monument, requested that it be named for noted conservationist John Muir, considered today as the father founder of the National Park System in the USA. Muir Woods National Monument is part of the National Park Service on Mount Tamalpais near San Francisco, in southwestern Marin County in California. It is part of the Golden Gate National Recreation Area, and is 12 miles (19 km) north of San Francisco. It protects 554 acres (224 ha] of which 240 acres (97 ha) are old growth coast redwood (Sequoia empervirens) forests, one of a few such stands remaining in the San Francisco Bay Area. The Giant Sequoias (Sequoiadendron gigantean) of the Sierra Nevada. The Sierra Nevada is home to 75 groves of Giant Sequoias nestled in the Western Slope of the Sierra Nevada Mountains. These Groves of Giant Sequoias are found in Sequoia National Park, Kings Canyon and in the Yosemite national park. There are only three major groves of Giant Sequoias within the Yosemite National Park: The Mariposa grove, Merced & Tuolumne Grove of Giant Sequoias. These giant trees were named after the Cherokee Indian Chief known as Sequoyah. 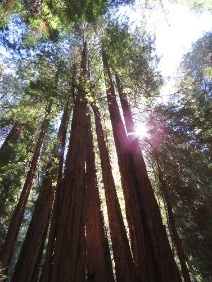 The Giant Redwoods or costal redwoods are different. They grow on lower elevation and far along California coats mostly found between Big Sur and Crescent City in Northern California. Redwood National Park in Northern California is home to the real world’s tallest trees (378 feet tall , and far more impressive than the redwoods in Muir Woods. 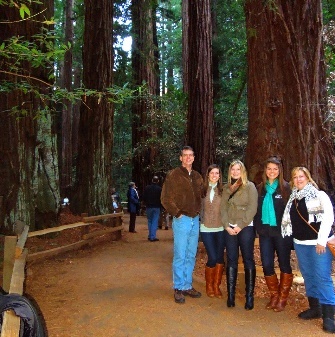 Muir Woods is open 365 days a year. No reservations are required to visit. Muir Woods is open 8:00 a.m. – 5:00 p.m.
Muir Woods is open 8:00 a.m. – 6:00 p.m.
Muir Woods is open 8:00 a.m. – 8:00 p.m.
Muir Woods is open 8:00 a.m. – 7:00 p.m. The Visitor Center closes 30 minutes before Muir Woods. Muir Woods Trading Company Gift Shop and Cafe close one hour before Muir Woods. Muir Beach, Muir Beach Overlook, and Stinson Beach close one hour after sunset. Are you in fourth grade? Is there a fourth grader in your family? America’s Best Idea—the national parks—is even better when it’s free! 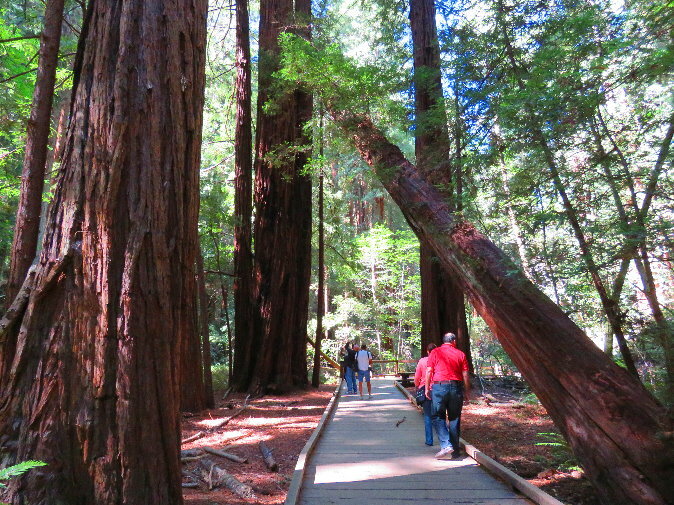 When to visit Muir Woods National Monument for free?